Forget money worries and focus on the things you want to do. SHAG serves seniors of all income levels, as well as those living on fixed or limited incomes. Our age and income restrictions keep senior living affordable at SHAG. Whether you’re a social butterfly or like quiet time for yourself, our lifestyle options give you the freedom to be you. And through community, friends and purpose you can really live at SHAG. This is your time. And we've got just the place where you can make the most of it. At a SHAG Senior Living Community, you'll find that an active, enjoyable and sustainable lifestyle in a community of friends is well within your reach. We know that change is a big decision and we're here to help! SHAG empowers you to live exactly the way you want, in an active community of friends. 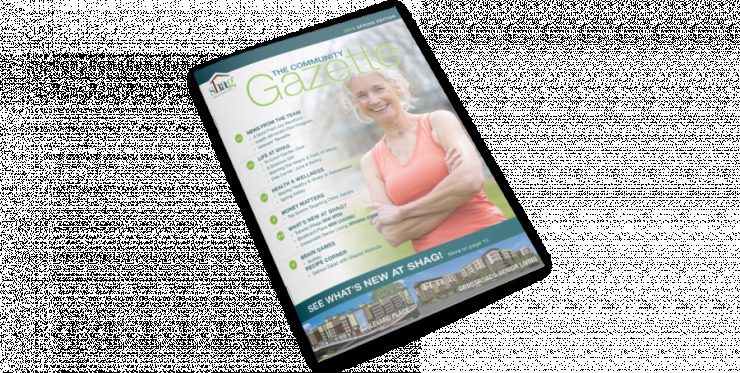 SHAG's Community Life Foundation connects you to resources that support independence. Schedule a Tour and experience affordable senior living the way it was meant to be. Moving is a big decision. We have resources to get you started and simplify your move. Our residents make us who we are—a fun-loving, close-knit community, that's as much family as we are neighbors. SHAG, it's where your friends live and where you belong.